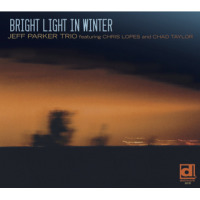 Jeff Parker (b. Bridgeport, Connecticut USA) is a guitarist, composer/arranger/producer and educator. A longtime member of the influential indie-band Tortoise, Parker is recognized as one of contemporary music’s most versatile and innovative electric guitarists and composers. With a prolific output characterized by musical ideas of angularity and logic, he works in a wide variety of mediums - from pop, rock and jazz to new musicusing ideas informed by innovations and trends in both popular and experimental forms. He creates works that explore and exploit the contrary relationships between tradition and technology, improvisation and composition, and the familiar and the abstract. His sonic palette may employ techniques from sample-based technologies, analog and digital synthesis, and conventional and extended techniques from over 35 years of playing the guitar. An integral part of what has become known as “The Modern Chicago Sound he is also a founding member of the critically acclaimed and innovative groups Isotope 217˚ and Chicago Underground, and has been an associate member of the Association for the Advancement of Creative Musicians (AACM) since 1995. A look at his work as a sideman offers a glimpse into Mr. Parker’s diversity. This list includes: Andrew Bird, The Ex, Joshua Redman, Toumani Diabate, Nicole Mitchell, Yo La Tengo, Daniel Lanois, Brian Blade and the Fellowship Band, Jason Moran, Matana Roberts, Joey DeFrancesco, Nels Cline, Charles Earland, Ken Vandermark, Dave Douglas, Fred Anderson, Tom Zé, and Meshell Ndegeocello. Parker has released several albums as a leader, all to critical acclaim, including: Like-Coping (2001), The Relatives (2004) and Bright Light In Winter (2012). Currently, he has been focusing on music production, small ensembles and solo performance – to cultivate and establish an idiosyncratic relationship between electronic and acoustic compositional properties in music. The coming months will see new releases from Parker in the forms of an album of solo guitar, Eno-inspired ambient duo music with famed cornetist Rob Mazurek, an album that features his long-time (and mostly undocumented) interest in hip-hop production and sample-based music (blended with orchestration and improvisation), and a long-awaited new album from Tortoise. Somehow, Jeff Parker manages flow through all these incarnations without copping a dilettante's superficiality. He applies the same depth of musicality and keen ear for quality to everything he does, which is part of what has made him one of the most sought-out musicians in the Windy City. Another part of that appeal, it must be said, is Parker's immense generosity and warm humility, the latter of which perhaps explains why he's only made one other CD as a leader, the acclaimed trio outing Like Coping, released on Delmark in 2003. Founded in 1995, The Relatives is a quartet of like-minded musicians drawn from the Chicago Underground Orchestra. Parker's been working with bassist Chris Lopes since college days, when they were at Berklee together in Boston in the mid-80s. Drummer Chad Taylor, who recently moved back to New York after a fruitful period in Chicago, has been a colleague of Parker's since just after the guitarist moved to Chicago in 1991. The newest comrade, Sam Barsheshet, who plays electric piano on the record, sat in on a gig with Parker in 2002. I enjoyed his playing and open conception, says Parker. All About Jazz musician pages are maintained by musicians, publicists and trusted members like you. Interested? 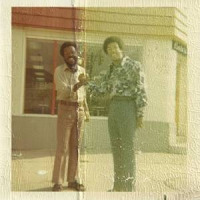 Tell us why you would like to improve the Jeff Parker musician page.